Starting to get sick of Britain’s bitterly cold winds and icy temperatures? Although December was bordering on balmy this year, January and February has certainly made up for the winter season’s lack of cold weather, in one fell swoop. February is by far one of the best times to escape the UK’s winter chill. The romantic allure of winter starts to dwindle, with skies painted a constant shade of charcoal grey. New Year resolutions are all but obsolete and your mind begins to wander with flashing images of winter sun and far away beaches. If you’re desperate to escape the daily grind, a winter escape could be all you need to get your mind back on track and bursting with energy. So if you’re dreaming of flying off into the sunset in search of sunshine and white sandy beaches, the tiny Caribbean island of Aruba could be all you need to shake off those gloomy winter blues. Aruba is an idyllic former Dutch colony located just 15 miles off Venezuela’s Paraguana Peninsular, boasting stretches of azure waters, pristine white sands and glorious, blazing sunshine. If you’re after a holiday in the sun that offers a little more than your average beach break, Aruba is the place to visit. The island gets guaranteed sunshine every single day and with soaring temperatures to boot, it’s the ideal holiday hotspot for beach and sun worshippers. But Aruba isn’t just about the beaches – beautiful they may be – there is so much more to the island than very first meets the eye. Like many Caribbean islands, Aruba is geared up for flocks tourists. It’s probably worth noting that at some point during your trip, you’ll encounter swarms of American families and package deal holiday groups. In truth, this is my idea off hell on earth. On holiday I relish tranquility. The last thing I want is to be crowded by troupes of tourists when I’m beach-bound and supping on cocktails. But if you venture off the beaten track, avoiding the larger chain hotels, you can easily avoid the hordes of holidaymakers and explore the cavernous creaks and hidden treasure troves Aruba has to offer. Quite quickly you’ll see Aruba in a very different light. One thing that will undoubtedly take your breath away is Aruba’s jaw-droppingly beautiful beaches. With pristine aquamarine waters and soft white sands, Aruba plays host to some of the most beautiful beaches I’ve ever seen. Boasting spectacular skylines with towering palm trees, immaculate blue skies and a blistering tropical heat, Aruba is an unparalleled picture of pure paradise. Aruba is such a charming island that has so much more to offer than your average beach dweller’s break. Boasting beautiful, balmy weather, dramatic coastlines, natural scenic wonders, exceptional dining, luxury shopping malls – you name it, Aruba’s got it. But the key to uncovering the real Aruba is to explore the island’s many hidden gems. Immerse yourself in the island’s friendly culture and you’ll witness a rare sight of untamed, natural beauty. Just 19.6 miles long and six miles wide, the island of Aruba is fairly easy to navigate around – even for those (like me) who seem to lack any sense of direction. We hired a car for a day to explore the island’s recommend hotspots, and we were hard pushed to get lost along the way. The few wrong turnings we did take, the friendly locals were more than happy to help with directions to get us back on the right tracks. The main focus for hiring a car was to explore the infamous National Park. Aruba boasts surprisingly arid landscapes with widely sculpted backdrops of rocky deserts, cactus clusters and hidden coves, surrounded by a sea of crystal turquoise seas stretching as far as they eye can see. Having the freedom to explore the park’s scenic views and vast array of wildlife is a great way to spend a morning, but it’s worth noting that a number of the trails are only accessible by off-road vehicles, so if you’re planning a whole day, you might want to consider hiring a 4×4. Then, once the mid-morning heat has died down, you can follow it with a trip to the nearby Baby Beach to stretch out weary legs and bask in the balmy sun. If you’re a bit of a thrill-seeker, then another way to explore the island’s desert-like terrain is by open-air jeep, where you can go off-roading until your heart’s content. ABC Aruba Tours offers an exhilarating jeep adventure where you can explore some or Aruba’s secluded spots. Surprisingly the island boasts an array of jagged volcanic rocks covered in cacti – a bumpy ride to say the least! We stopped off at a few historical sites including Blackstone Beach, Twin Bridges, Eyes of God, Natural Bridge, Andicuri, Bushiribana Gold Mill Ruins, Wish Garden and the famous California Lighthouse. Other beaches on the island that are well worth a visit include award-winning Eagle Beach and the secluded Catalina Beach. If tropical beaches are high up on your holiday checklist, then Aruba will tick every single box. The beaches are everything you’d expect from a Caribbean island, and so much more. The glistening seas will take your breath away, and the blazing sunshine warrants nothing but pure relaxation – oh and a few cheeky cocktails of course. Baby Beach is a gorgeous half-moon sandy expanse in a beautiful lagoon on the Southeast coast of the island. The waters are shallow so the beach is ideal for families with young children, and the snorkelling area is perfect for those who are afraid of deep unknown waters. For the more intrepid traveller keen to try out the water sports on the island, the list of activities are endless. With stretches of crystal clear waters, you can snorkel in almost any of the beaches, but in truth the waters are so unbelievably clear you can just peek through the rippling waters and you’ll be able to see swarms of fish without even dipping your head. If you really want to make the most of the perfect diving conditions, you can head off by boat and snorkel around the Antilla ship wreck – the island’s notorious snorkelling hotspot. Here you can look forward to a wonderland of tropical fish including angelfish, stingrays and parrotfish swimming amidst a carpet of colourful coral. And there are plenty of diving schools to choose from if you want to take your snorkelling skills to the next level. For something decidedly different, you can always try your hand at one of the various watersports to pass the time – there are plenty to choose from. We decided to spend an afternoon attempting to windsurf. ‘Attempt’ being the operative word. It really is harder than it looks! During a two-hour lesson you may just about master standing up on the board, but trying out a turn was near enough impossible, so if you’re keen to excel, I’d recommend booking a half day lesson instead. One thing that took me completely by surprise was the island’s vast of array of worldly culinary delights. If you’re a fanatical foodie, then you are in for a real treat. Not only does the island serve up some of the best seafood I’ve ever tasted, there are endless restaurants and seaside shacks offering up the most delectable dishes from all over the world. But unlike other tourist traps, Aruba really does it well. Even the Italian, Spanish and Belgian dishes we sampled were impeccably authentic. Pinchos Grill in particular was a favourite of ours, not only because of its incredibly romantic setting – it’s located on a private pier overlooking the water – but because the food was also devilishly delicious. Think Caribbean seafood with lobster tails and juicy sirloin steaks – divine. Another popular evening haunt is the Screaming Eagle, which serves up a fine selection of local seafood – the swordfish was exquisite. For a romantic evening of intimate dining, you simply must try The Wine Room. A rustic and homely wine bar that serves up local and world wines paired with plates of cheese and charcuterie. Hosted by the lovely and very knowledgable owner Monrick, prepare to be taken on a tantalising tour of world wines and tasty cuisines with his food and wine pairing package. The package includes 6 small dishes of home-cooked rustic food each carefully paired by Monrick himself, and served with an accompanying complementing vintage. Dishes include garlic and herb escargots, steak strips cooked in blue cheese sauce and gooey chocolate truffles that are perfect served up with a rich, bold port. It’s an intimate venue and only open a few days a week, so booking in advance is highly recommended. And finally, if you’re hankering for a hungry breakfast, start your Sunday with a champagne all-you-can-eat brunch at A Taste of Belgium. For just $42 you can enjoy 3 hours of bottomless bubbles and an entire menu of brunch and lunch dishes that you can order until your belly is about to burst! For a less indulgent affair head next door to the Pancake House to enjoy an array of traditional Dutch pancakes with gloriously moreish toppings. There’s a swarming sea of hotels and apartments to choose from on the island, so it really depends on what you’re looking for. There are the usual chain hotels like the Marriott, Holiday Inn and Ritz Carlton but if you’re looking for a hotel that has a little more character, then head to the Renaissance Hotel. With pool parties, casinos, shopping malls and its very own private island, the Renaissance really is a hotel fit for the most glamorous of Hollywood celebs. As a guest, you can take a short boat trip to their private island and languish on the sand with flocks of flamingos resting at your feet. Sun, sea and endless pina coladas – pure island bliss. But if you’d prefer to escape the tourist bustle in the heart of Oranjestad, opt for a self-catering apartment instead. We stayed in the charming Paradera Park resort; a small boutique gem hidden away in the middle of the island. The spacious villas offer a private haven and perfect base for travelling around the island. Bursting with charm there’s a private pool festooned in tropical flowers, with loungers and hammocks to relax in and the friendly owners Deborah and Henk are always on hand to help with any recommendations or requests. The one-bedroom suites are complete with kitchenettes, air con, wifi and a pleasant outdoor veranda that’s perfect for supping on sunset cocktails or to wake up and relax with your morning coffee. Be sure to check out Deborah’s beautiful collection of handmade glass-blown jewellery, which is available to buy from the main reception. 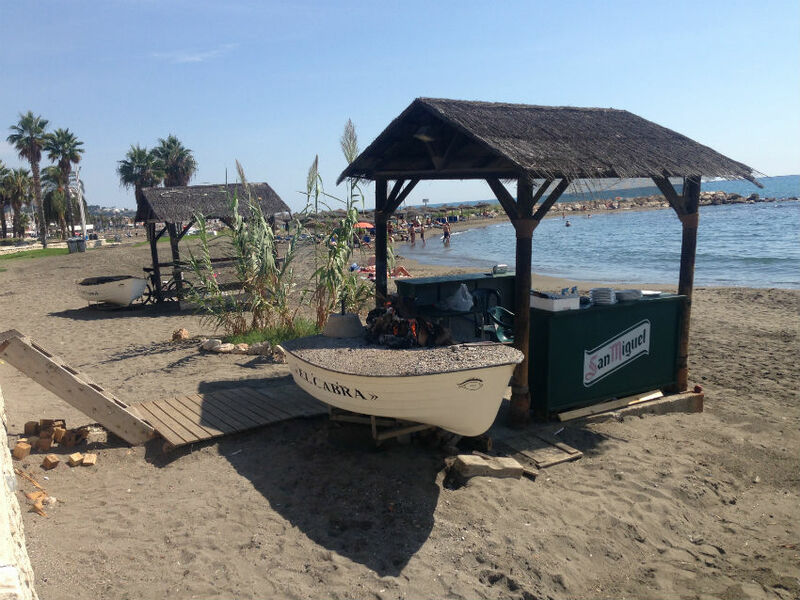 Sitting on the beach devouring freshly caught fish is one of life’s simple pleasures, and the Southern Spanish region of Málaga is a marvellous place to do it. Málaga’s stunning coastline provides a beautiful backdrop for laid-back beach basking, alfresco seafood suppers and romantic sunset strolls. With rustic beachside eateries offering deliciously fresh seafood and local Spanish delicacies, Málaga offers an authentic taste of traditional Spanish culture. As a renowned ‘Brits abroad’ destination, most British beach dwellers flock to the Costa del Sol in search of sun, sea and sangria. 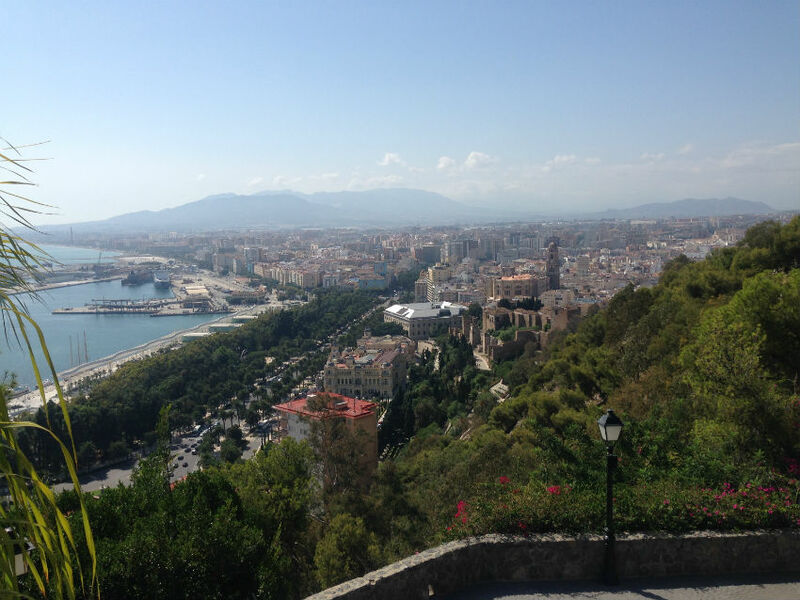 But with many holidaymakers herding to the popular sandy beaches of Marbella or Torremolinos, Málaga is often overlooked as a city break mainstream holiday destination. Wistful wanderers in search of lively Spanish culture, fabulous food and beautiful architecture will be overwhelmed by Málaga’s rich delights. 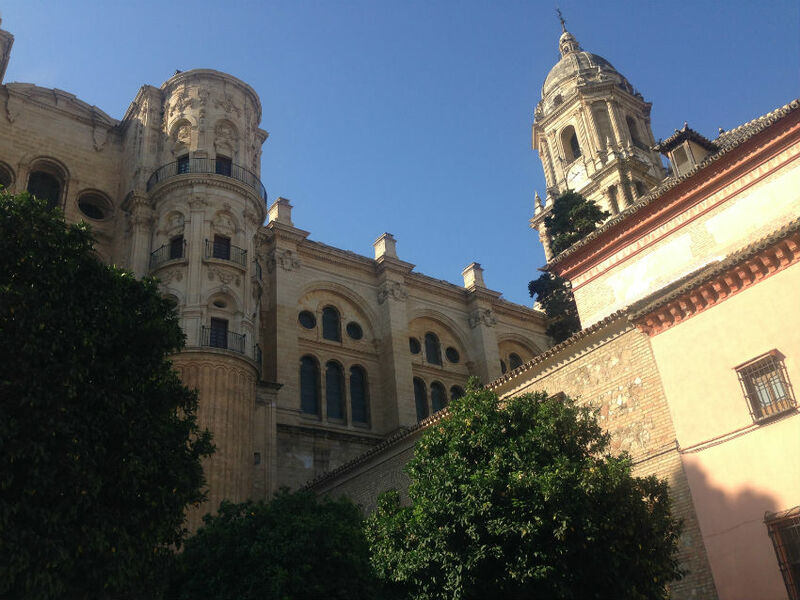 From flamboyant Flamenco street dancing to Pablo Picasso’s inimitable works of art, there’s a wealth of history and culture to be discovered in the heart of Málaga’s bustling city centre. There’s nothing more relaxing than sprawling out atop soft, golden sands serenaded by the sound of breaking waves. Málaga’s beautiful beaches are family friendly and brimming with character. It rarely gets cold in Málaga with temperatures seldom dropping below 17°C. With an average of about 300 days of sunshine each year and only 50 days of rain, it’s often dry and warm enough to sit outside during the day even in January and February. But the spring and autumn are ideal times to visit if a beach break is on the agenda. The lively city centre is vibrant and picturesque with beautiful marble walkways paving the pedestrianised car-free streets. You’ll find a plethora of traditional taverns, sleek boutiques, cafés and trendy gastrobars hidden amid winding lanes in the heart of the city. 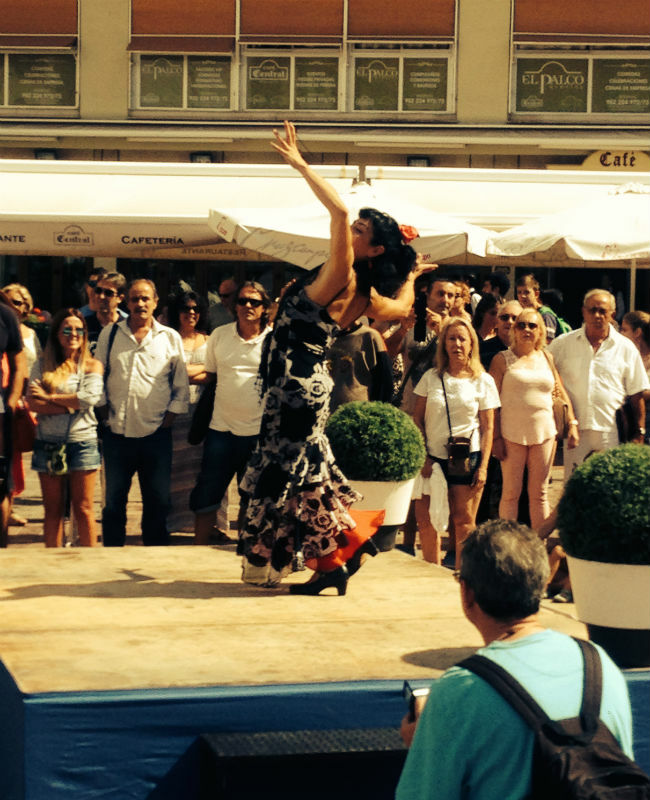 Families and friends gather together to share platters of tapas and sumptuous Spanish wine whilst locals twirl gleefully to Flamenco music in the streets. It’s the ideal spot for aimless wandering; a place where you can really kick back and relax whilst soaking up the city’s vibrant atmosphere. Take a stroll through the city’s ancient Roman fortress. Built between the eleventh and fourteenth century, the Alcazaba served as a defence aid for the city as well as a grand palace for Muslim rulers. Discover magnificent archways, lush greenery and marble pillars as you roam through the cavernous walkways of the towering Roman ruins. 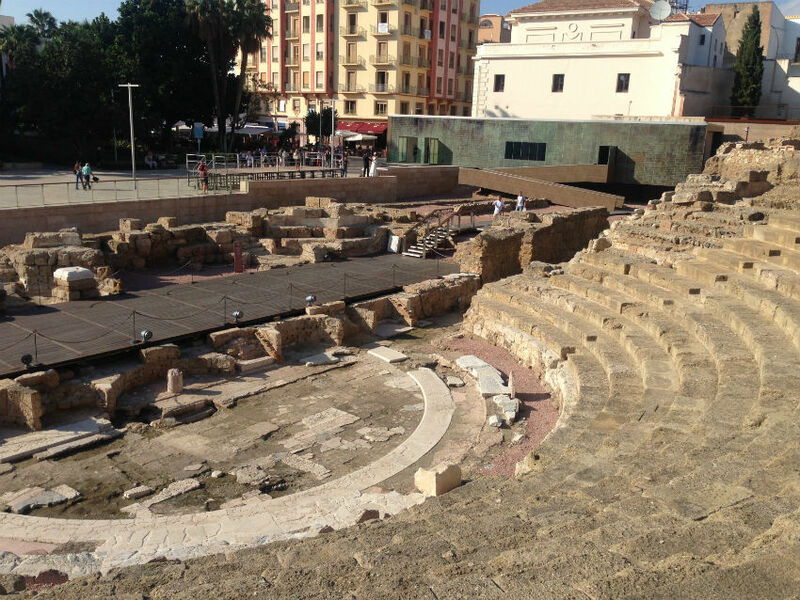 Adjacent to the fortress lies a traditional Roman ampitheatre, which is still used for theatre and musical performances. If you’re lucky enough to catch a performance, the setting is stunning and well worth a visit. The Museo Picasso boasts an enviable collection of work dating from the late 19th century up until his death in 1973. A truly fascinating collection illustrating the versatility and progression of his extensive body of work. The city’s towering Cathedral is another breathtaking sight not to be missed. A combination of Gothic, Renaissance and Baroque architecture, the intricately carved exterior is a true spectacle to marvel. Inside is equally as grand, with two enormous 18-century organs stretching high into the ceiling as far as the eye can see, as well ancient religious artworks and beautiful sculptures. For a touch of rest and relaxation, a gentle stroll around the Botanical Gardens should set the mind at ease. 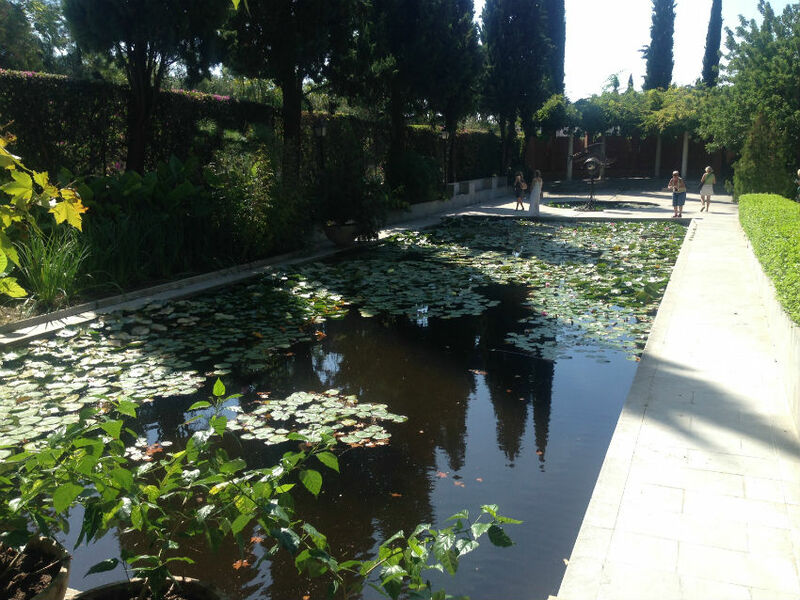 This tropical paradise is one of the largest gardens in Europe and takes around an hour and a half to walk around, although you could easily spend all day there. With gorgeous greenery and vibrant blooms, it’s an easy place to lose an afternoon to. 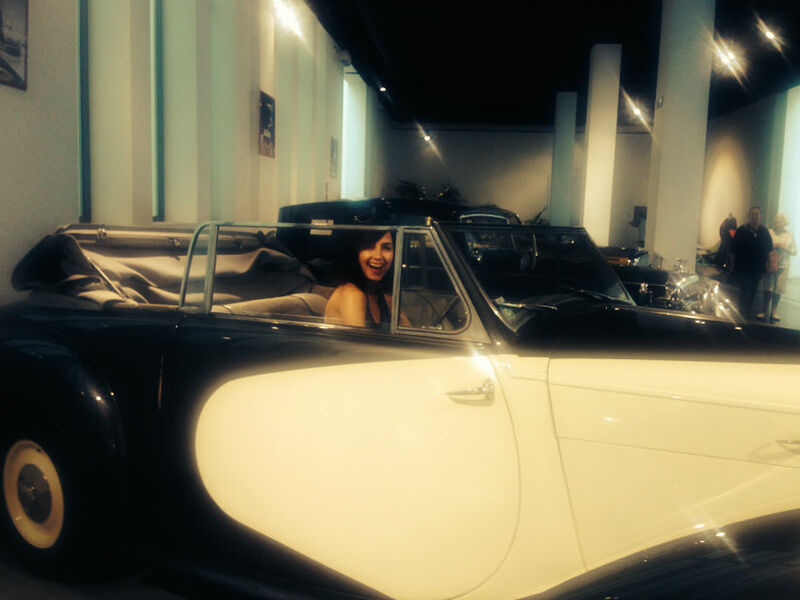 If you find yourself with a few hours to spare during your trip, a visit to the Automobile Museum is great fun. Admittedly, we were a little sceptical about the venture, but the hordes of classic cars are well worth a peek. The kids will assuredly have great fun here. But the museum is more than just cars and engines. There’s also a collection of vintage designer fashion pieces to drool over, if the cars don’t quite provide enough entertainment. If the trek across the city starts to take its toll, rest weary feet at the Málaga Hammam Arabian baths. A tranquil retreat tucked away from the bustle of the city, where you can relax in steaming saunas and hot baths, take a dip in the pool or indulge in a blissful massage. A bath and massage experience costs 38 euros and lasts for one hour. For spectacular panoramic views of the city and delicious, local food head to the Parador de Gibralfaro Hotel. A delicious selection of sharing tapas plates will be served with freshly baked bread and exquisite local wine. For lunch al fresco, a visit to the Pedregalejo area is an absolute must. Brimming with locals, there’s a vibrant, buzzing atmosphere with fishing boats moored along the sand serving up freshly caught barbecued fish. 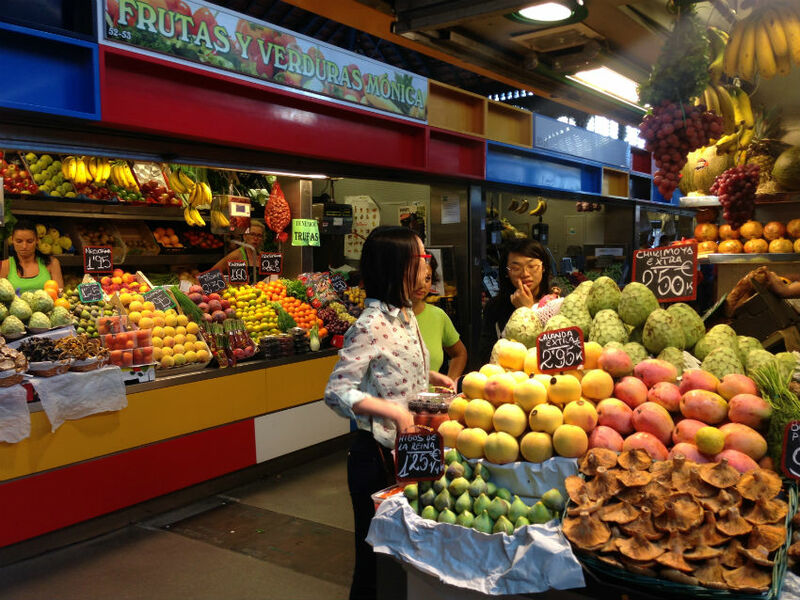 The Atarazanas food market is well worth a visit. 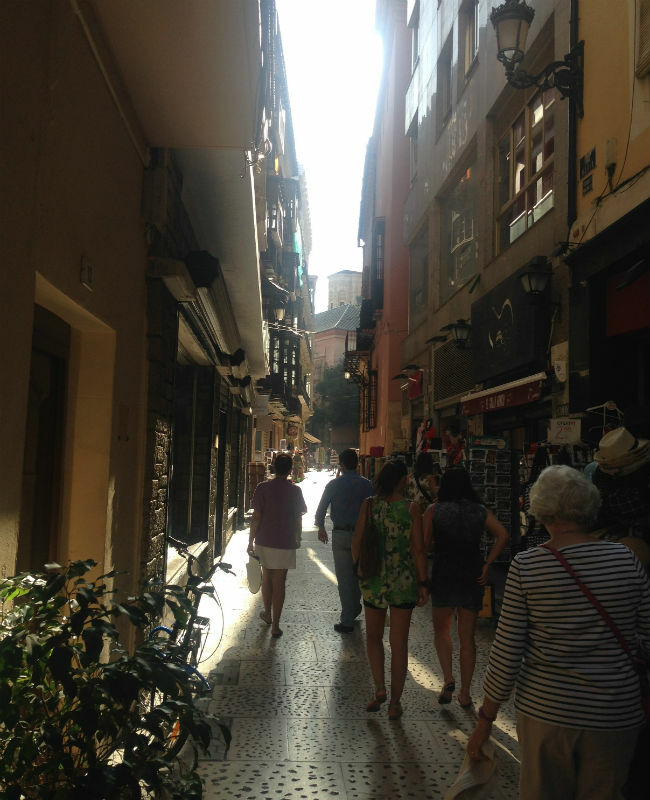 A vast labyrinth filled with sumptuous Spanish delicacies. Be sure to save some room in your suitcase to take some tasty titbits home! 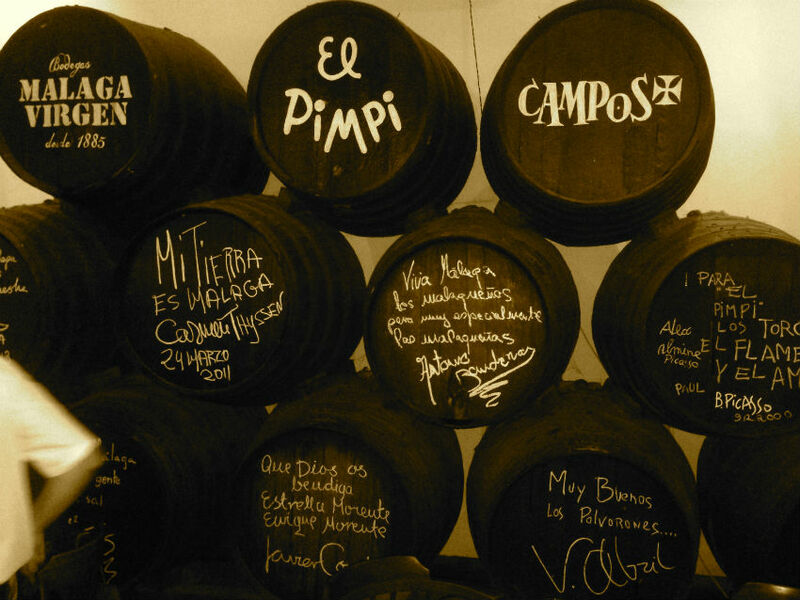 For an even sojourn, El Pimpi Bodega bar serves up gorgeous tapas with local wine. The building is a cavernous warren of rooms adorned with historic posters and enormous wine barrels, all signed by a catalogue of famous folk. A seemingly popular haunt for Antonio Banderas. For a more formal evening affair, venture to the swanky Patio de Beatas restaurant. A trendy wine bar and restaurant with a fusion of Spanish and European cuisine. For a central location that’s within walking distance of the centre, stay at the Hotel NH. Elegant and contemporary in style, the rooms are spacious and comfortable with beautiful city views overlooking the river. There’s also a gym and sauna facilities for guests to take advantage of. Growing up in the New Forest I would expect the views of the countryside to become embedded in my memory, however it’s a pleasant surprise that each time I return, I am taken aback by the sheer beauty of this magical place. With vast stretches of untamed forest playing host to herds of wild horses, the New Forest truly is the perfect place to escape and unwind from the hustle of the city. Chewton Glen offers the charm of the New Forest, with that little bit of added luxury. Chewton Glen is a luxurious and quintessentially English country manor house, nestled in the forest. This magnificent building dates back to the 18th-century with much of the traditional, distinctive features remaining as part of the hotel’s design scheme. Think oversized, elegant white windows with cascading layers of rich, vibrant fabrics and pristine landscapes boasting beautiful flowers. There’s also a croquet lawn and a delightful stone terrace where you can look back and envisage a plethora of lords, ladies and other distinguished folk sharing a delightful afternoon tea. The exterior is very much preserved in 18th century tradition, but inside has a surprisingly modern, and comforting feel. Still lavish in design, the décor is sultry, seductive and contemporary, combining old-school elegance with stylish modern furnishings. We relax in the lounge for an afternoon tipple and marvel at the grand wooden staircase, tall ceilings and open stone fireplaces, stylishly contrasted by bold striped sofas, mirrored wall features and sumptuous scarlet walls – always surrounded of course by those spectacular countryside views. Chewton Glen has a range of plush rooms and suites and an exclusive selection of romantic, secluded Treehouse retreats. Each room is laden with amenities – flatscreen TV, stereo, huge comfy beds, white fluffy dressing gowns and a generous collection of indulgent toiletries that are too tempting to leave untouched! Our suite is cosy, with a homely feel, and the décor is classic country with a modern twist. We also have a private terrace with breathtaking views of the hotel’s pristine lawns. A natural theme runs throughout, with a bold feature wall painted in a sumptuous deep mauve. Mirrors and artwork adorn the walls and upholstered armchairs are conveniently dotted around the room, ready to rest weary feet. The bathroom is sleek and elegant with neutral mosaic tiles, a huge mirrored wall space and a separate oversized shower and deep bath to sink into after a hard day’s pampering at the spa. With 10 treatment rooms, six hydrotherapy spa pools, an indoor and outdoor pool, among other pampering treats, it’s not hard to see why this award-winning winning spa is so popular. To start, we sit and relax in the hydrotherapy pools for an hour. Each pool offers different treatments ranging from vibrant all-over body massages to localised pressure points of the body such as the neck or back, with deep, vigorous massage techniques that really loosen the muscles. Afterwards, there’s just time to do a few lengths of the 17-metre indoor pool before lunch, in the spa. It’s informal and buffet-style, with everyone tucking in in robes and slippers. Choose from a selection of sandwiches, paninis and salads from the à la carte menu or opt for the buffet selection which includes cooked meats and fish, quiches, jacket potatoes, fresh salads and tortilla wraps, as well as a couple of indulgent desserts. A buffet plate including dessert costs £20. After lunch I have the signature Chewton Glen back, neck and shoulder massage. The therapist worked wonders by easing the tension in my upper back using vigorous pressure techniques. I felt pleasantly relaxed, even though the pressure was forceful, and felt the benefits almost immediately. My back was under much less strain and I found my flexibility had improved significantly. The nourishing essential oils left my back supple and my skin invigorated and beautifully soft. Visit www.chewtonglen.com/spa/spa-treatments for a full list of spa treatments. Prices range from £295 for a standard room up to £1,580 for a top-end suite. For a full list of room prices visit www.chewtonglen.com/rooms. For a more secluded and nature-inspired stay, the elegant Treehouse suites start at £700, for a full list of options visit www.chewtonglen.com/tree-house-suites. If you can drag yourself away from your robes and slippers, there’s a wealth of countryside pursuits to take advantage of, either organised by the hotel, or further afield. The hotel boasts tennis courts, a croquet lawn, a golf course and even clay pigeon shooting if that takes your fancy. Highcliffe-on-Sea is a beautiful, secluded beach just a short walk away from the grounds. Walking and mountain-biking trails within the New Forest are also a great way to explore the area, and directions are available from reception. See www.chewtonglen.com/hotel/activities for more information. Chewton Glen is located on the edge of the New Forest National Park and within easy reach of Christchurch, Bournemouth and Southampton. The hotel is about 90 miles from central London by car or 1 hour 30 minutes by train from London Waterloo. The closest train station is New Milton, which is just a five minute car journey to the hotel. Visit www.chewtonglen.com/hotel/hotel-directions where you can download driving directions to the hotel from London, Bristol, Bournemouth, Bath, Dover, Southampton and Portsmouth. So after months of deliberating I have finally got myself into gear and set up this little baby! 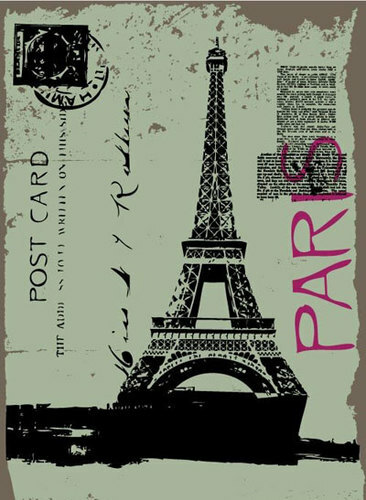 Having spent the last couple of years leaving London on a jet plane and swanning off to many exotic places (yes I am a lucky little madam) I thought it best to document my adventures on the world wide web for all to see. Just to give you a little bit about me… My absolute favourite pastime is to relax on a beautiful beach with a refreshing cucumber-infused Hendricks and tonic and immerse myself in a good book. Failing that, I’m a sucker for a good snowboard trip. Sometimes plummeting down an icy mountain is remarkably more appealing than a relaxing stroll along the sand. And of course taking in the breathtaking views of the stunning Alps is absolutely mind-blowing. When I’m not dreaming of running off to sunny beaches or snowy mountains, I can be often found cavorting at festivals, hosting wine-fuelled dinner soireés and generally embarrassing myself ever-so-slightly at any given opportunity. I’ve come to the conclusion that it’s just no fun to take yourself too seriously, so I’ve learnt to whole-heartedly embrace my slightly goofy personality and pass it off as endearing. Or so I tell myself anyhoo. I love nothing more than being wined and dined, taken out to fancy restaurants (or being flown to one) and over indulging in some good old gourmet grub. Sampling the latest restaurant menu is the best way to get inspiration for your own cooking, and I love to recreate my own versions of classic dishes. If not to impress friends and the boy, to spice up the weekly food routine and encourage some creativity in the kitchen.